ideal for exceptional hold and humidity control. 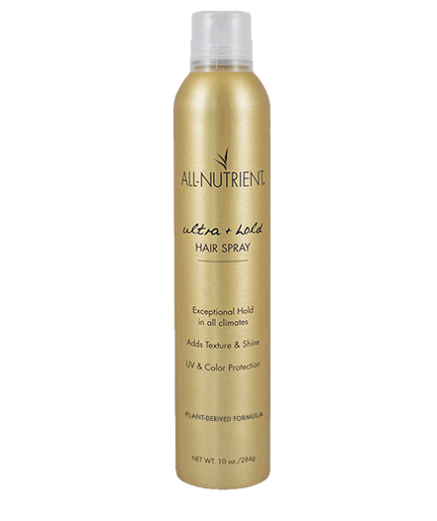 Organic Quinoa, and Panthenol (Pro-Vitamin B-5) add texture, strength and shine to hair in this aerosol hair spray. Built in 'Climate Control' will not make hair feel gummy or tacky under high humidity. This is a quick drying formula that holds styles longer, without flaking or build-up.